Every year, I scour the internet seeking out the next must have item for the holiday season. From Hatchimals and the NES Classic Edition back in 2016 to Fingerlings and the SNES Classic in 2017, my toy radar has proved strong. I’m not the only one with my finger on the pulse, either. With Toys R Us out of the holiday picture, Amazon and Walmart launched toy guides earlier than ever, hoping to gain shopper interest with insight into popular toys. Pairing the retail giants’ information with my own research (and our trusty trending products system), I’m confident that the items below will fly off the virtual shelves and into the arms of thousands of children the world over. So buy them while you can. Happy toy hunting! What They Are: These glittery, interactive cat-like pets are adorable fur balls with tails that wrap around your wrist, backpack, purse, whatever! They react to stimuli, meowing, purring, and hiccuping. 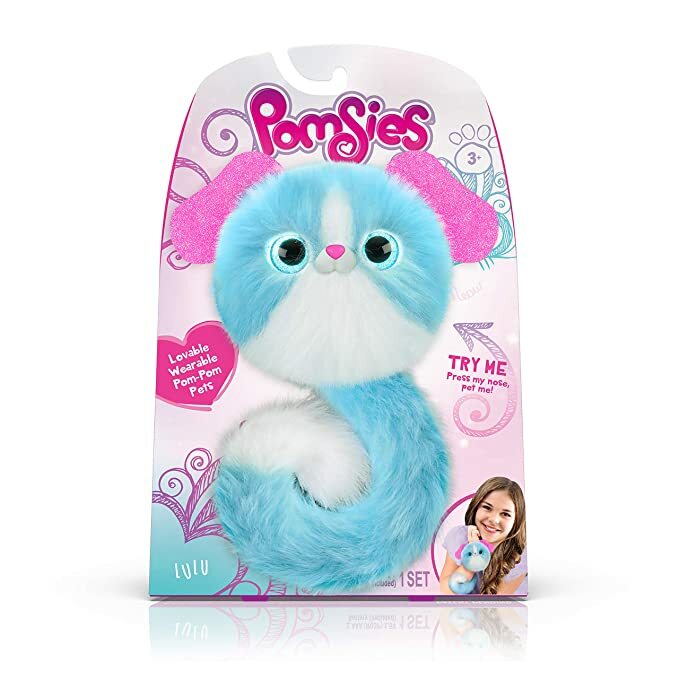 Pomsies have huge eyes that glow different colors revealing their mood. Rainbow eyes mean they are happy of course, and those sad baby blues when they aren't feeling so well. Particularly neat is the dance mode in which Pomsies can sing and play an interactive game with you. They’re available in various colors and characters (Pinky, Boots, Sherbert, Snowball, Stardust and more). What They Are: Another toy pet with gigantic eyes (see a pattern here? ), Scruff-A-Luvs come as a matted ball of fur with those big old eyes showing. 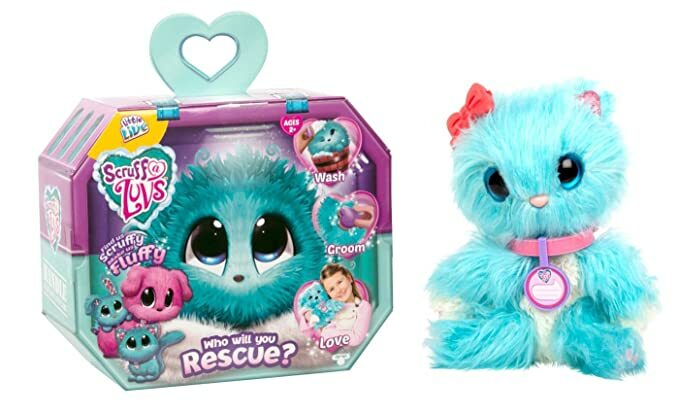 Once you wash, dry and brush the hair, your new pet is revealed, lending this toy an “unboxing” vibe (similar to Hatchimals)! Will you get a puppy, kitten or bunny? It’s a mystery until you’ve washed and groomed your toy. Scruff-A-Luvs come with a brush, collar and an adoption certificate to fill out. What They Are: Do not let your kids treat their siblings like they treat this toy. The more you irritate the Grumblies, the more fun you have. This modern-looking Furby goes into “full meltdown mode” when you poke and flip it. Grumblies are like stress balls for your kid—squeezing them can elicit up to 40 different reactions, including sound effects and turning different shades of red, depending on their level of irritation. 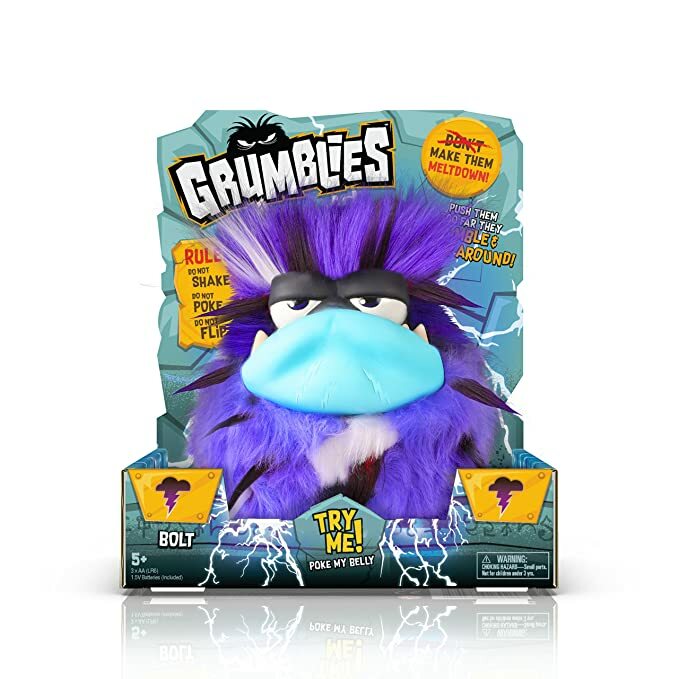 There are four different Grumblies to choose from, including Scorch (represents lava), Hydro (represents tsunamis), Bolt (represents lightning and thunder) and Tremor (represents earthquakes and landslides). What They Are: Fingerlings are no longer just for your hand. 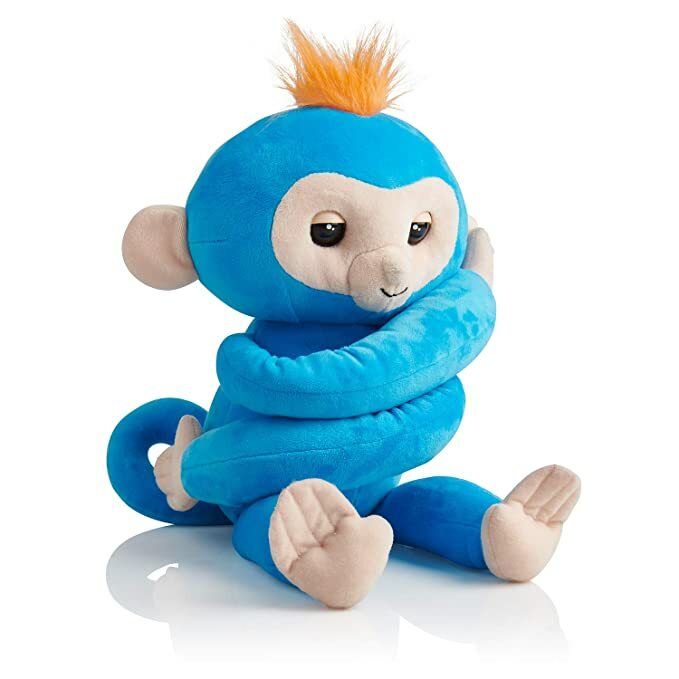 The interactive baby monkey is now a grown-up stuffed animal that provides endless hugs. Much like the hand-held version, Fingerlings Hugs respond to motion, sound, and touch—they can be rocked to sleep and of course give kisses. Fingerling Hugs show affection when they’re tickled, swung or thrown into the air. You can choose from a pink cuddly monkey named Bella or her blue twin, Boris. What They Are: This new line of collectible characters combines three of the year’s hottest toy trends: unboxing, unicorns, and sequins. As such, they’re just about as rare as an actual unicorn to find. Every Rainbocorn comes in a big pink reusable egg, and there are 12 different Rainbocorns based on six adorable animals: Puppycorns, Kittycorns, Hamstercorns, Bunnycorns, Unicorns, and Monkeycorns along with their 12 unique sequin surprises. Each Rainbocorn also comes with a baby Boo-Boocorn, a tiny collectible hiding in a little egg. There are over 20 Boo-Boocorns to collect, including the rare twin Boo-Boocorns. Rainbocorns are so popular that we wrote an entire article about them with multiple retailers that carry them (on the rare occasion they are actually in stock). What It Is: Because the L.O.L. Surprise! Big Surprise wasn’t packing enough excitement, this year, parents can try and get their hands on the L.O.L. Surprise! Bigger Surprise. This is packing over 60 never-before-seen surprises and comes out September 25. Buy it on Amazon now, and it will ship to you on that day. Containing limited-edition dolls and pets, L.O.L. Surprise! Bigger Surprise is so anticipated, Amazon is already calling it a bestseller based off pre-orders. Note: If the toy is sold out on Amazon, try Walmart. 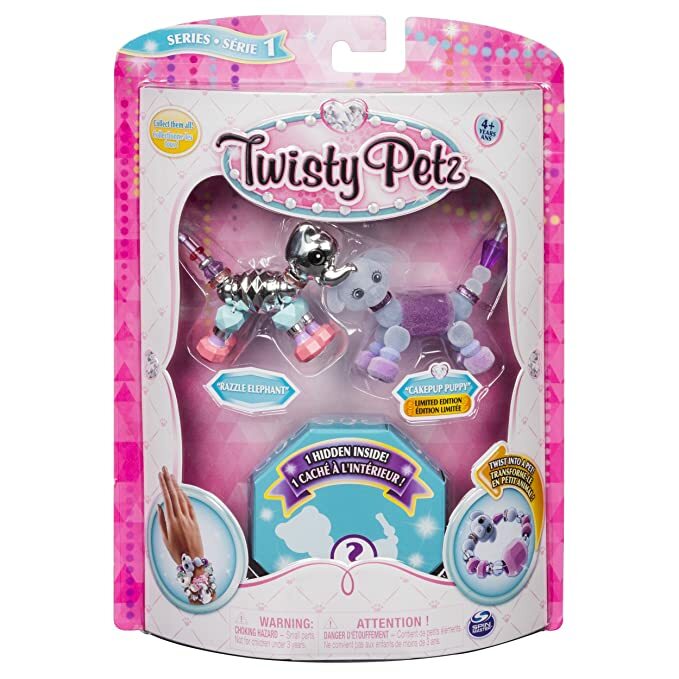 What They Are: Spin Master (the brains behind Hatchimals) have unleashed Twisty Petz, “gem-tastic” and “bling-tastic” animals that kids can transform into sparkly fashion bracelets, necklaces or backpack accessories. There are more than 70 different Twisty Petz to collect. They range from kitties and zebras to elephants and pandas in neon, pastel and rainbow shades. What It Is: New York Toy Fair proved poop- and toilet-themed toys were a “thing.” Hey, I’m not judging. 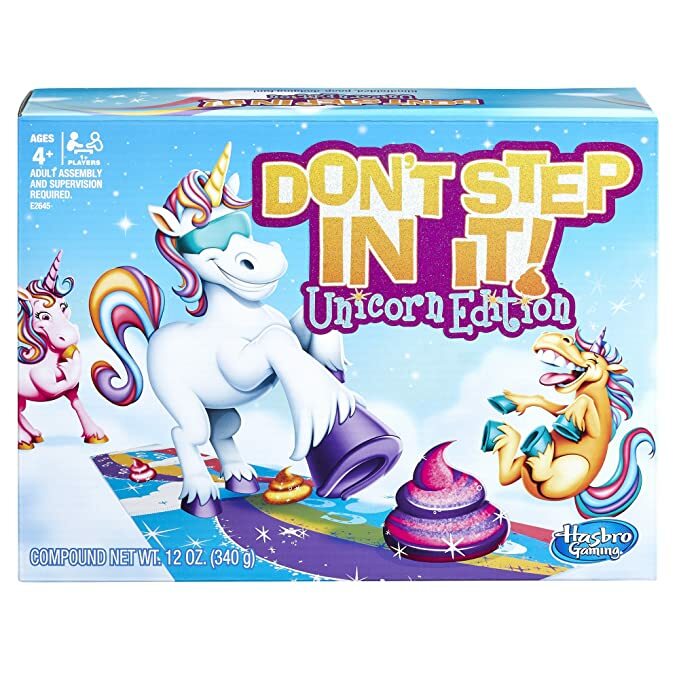 And in this game, which is a magical twist on Hasbro Games’ Don’t Step in It!, players ages 4 and up make piles of unicorn poop out of colorful clay, place them about, and then one blindfolded player tries to dodge the mess. Fun times, indeed. Description: Introducing Free 2-Day Shipping at Walmart.com! at Wal-Mart.com. Description: Get items shipped to your local store for free. Meet Fingerlings HUGS – they’re softies when it comes to affection! Their long arms are perfect for big hugs and these cuddle monkeys never want to let you go! It’s all about that Main Squeeze Fingerlings Feeling. Swing them, pet them, and rock them to sleep, or give them a kiss and watch them kiss you back!! Record what you say and watch them repeat it back in funny ways. I love giving you hugs & kisses! Rock me, tickle me, shake me, swing me, throw me, and turn me upside down for different reactions! Grumblies are short-tempered and mischievous. Grumblies Mojo is imbued with the power of magic and shrouds itself in secrecy. There are no nurturing with the Grumblies. The more you mess with them, the angrier they become, which could lead to a meltdown! Each Grumblies character has their own personality, sounds, and design. Different reactions and sounds depending on how if you poke, shake, or tilt them! Different level of anger. Try to get them to the meltdown mode! In a world where babies run everything, little rockers rebel against nap time and teacher's pets become class presidents with “Free Pizza Fridays!” In this world, all work is play and nothing is dull cuz it's all a lil' surprising and outrageous! L.O.L. Surprise dolls were on a top-secret mission when their pet went missing! Find surprise clues across the Eye Spy Series to help find their pet! Discover 60+ never before seen surprises inside the L.O.L. Surprise Bigger Surprise with exclusive dolls and accessories! L.O.L. Bigger Surprise with 60+ Surprises! Twistem! Wearem! Takeem everywhere you go! Twisty Petz are the glitzy bracelets you wear and transform with a twist! This glam set includes: four Twisty Petz Babies made of dazzling gems; a sweet charm; and a sparkling jewelry case! To create a bracelet, connect any two Babies together and clip on your charm. Just like that, you have a fabulous bracelet to wear with any outfit! To bring your adorable animals to life, twist your bracelet into a puppy, kitty, panda or even a unicorn! When you’re not wearing your jewels or playing with your pets, keep them safe in the gem-shaped jewelry case. With a glitter-flecked lid and luxe interior, this case is a stylish way to store your Twisty Petz. Collect all 24 and create blingy bracelets, backpack accessories and more! Explore all the charming possibilities of Twisty Petz! This glitzy set includes an adorable charm and gem-shaped jewelry case! Customize your bracelet with the charm, and keep your gems safe inside the luxe case. Every Rainbocorn hatches from its bright mystery egg and has a unique reversible sequin heart that reveals a magical surprise when swiped! All 12 sequin hearts reveal different surprises and are removable, so you can wear them and share them too! Every Rainbocorn has a fluffy, bright unicorn mane that’s fun to brush and groom. Their sparkly horns and butterfly wings add even more magic to every cute creature. The Rainbocorn collection includes a Puppycorn, Kittycorn, Unicorn, Bunnycorn and Hamstercorn, each with their own sequin surprise. Every Rainbocorn also comes with a little baby Boo-Boocorn, a tiny collectable hiding in a little egg!